Wearing many hats, this week in photos. 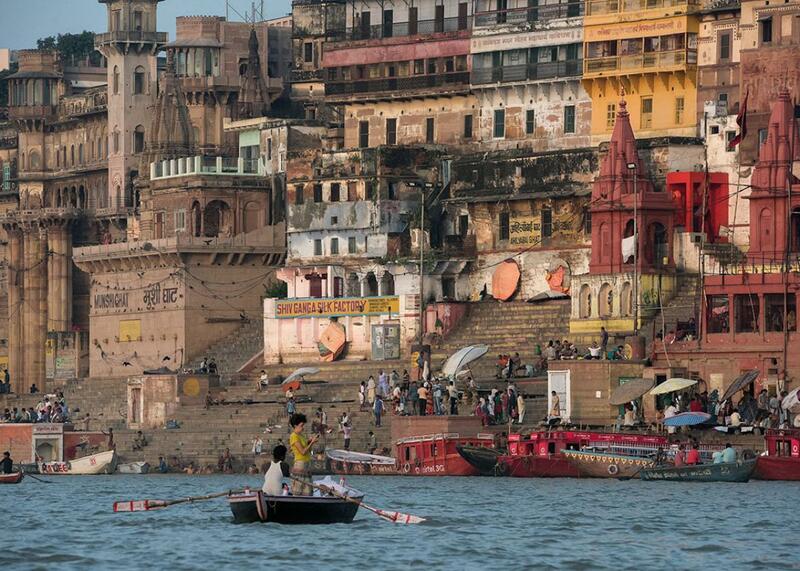 A tourist on a boat takes a photograph of the waterfront on the banks of the River Ganges at Varanasi on Sept. 18, 2015. 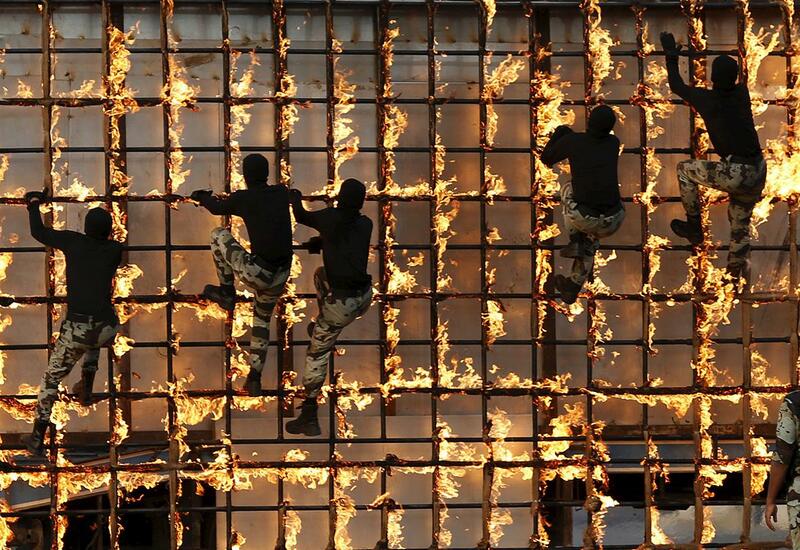 Members of Saudi security forces take part in a military parade in preparation for the annual Hajj pilgrimage in the holy city of Mecca on Sept. 17, 2015. 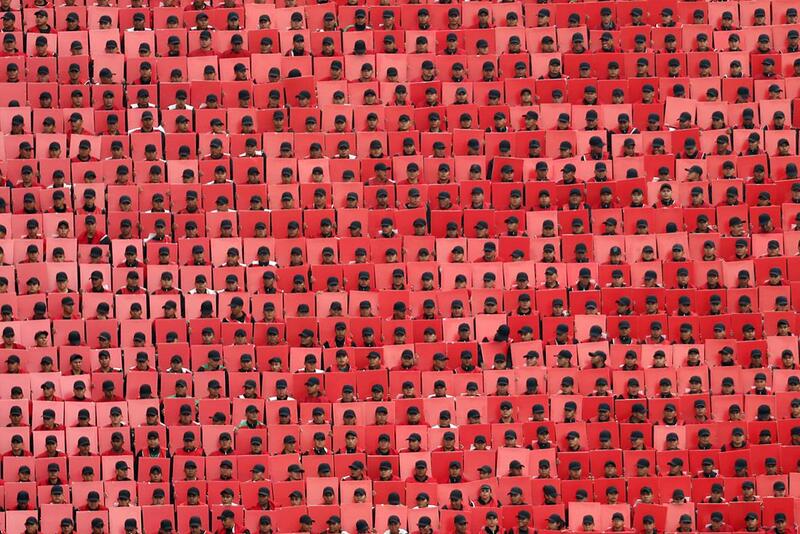 Troops hold colored cards during a military parade celebrating Independence Day at Zócalo square in downtown Mexico City on Sept. 16, 2015. 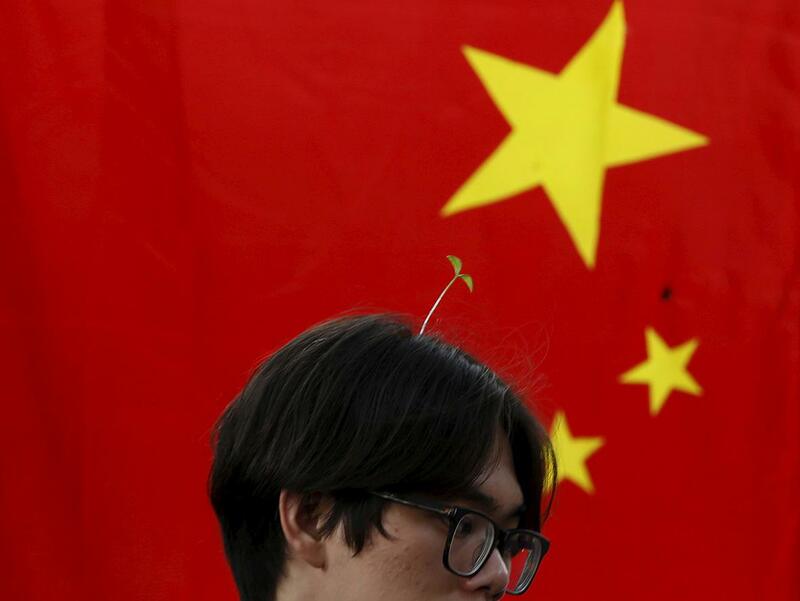 A man wearing a sproutlike hairpin walks past China’s national flag on Nanluoguxiang street in Beijing on Sept. 16, 2015. Wearing antenna-styled hairpins in the shape of various flowers and plants at scenic spots has become a new trend in Beijing. 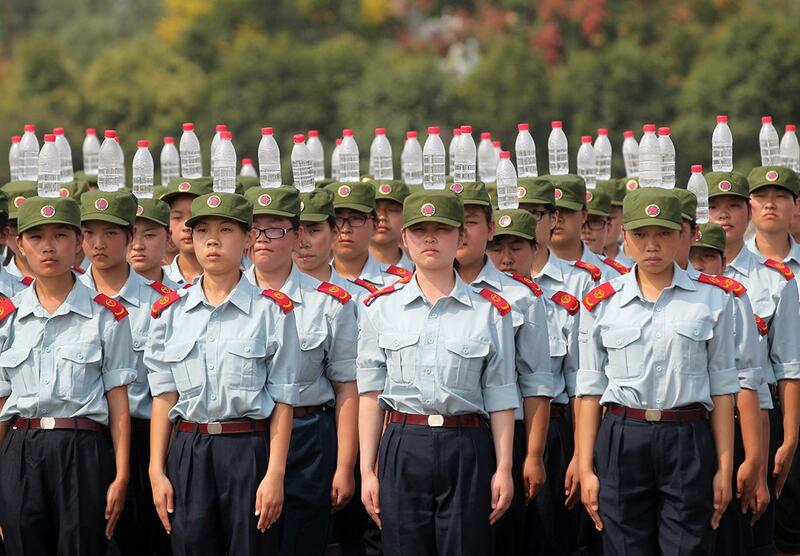 Freshmen airline stewardesses in Zhengzhou Institute of Aeronautical Industry Management balance bottles of water on their heads during military training on Sept. 17, 2015, in Zhengzhou in the Henan province of China. 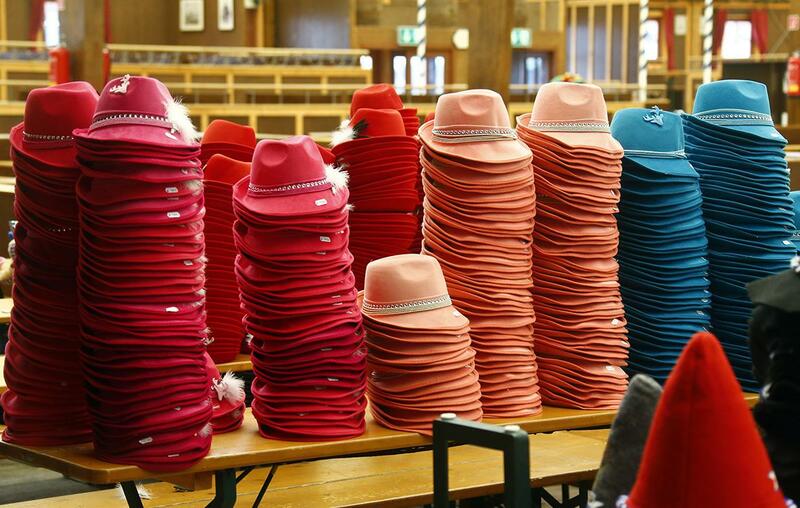 Oktoberfest hats and souvenirs are prepared at the Paulaner tent for the upcoming Oktoberfest in Munich on Sept. 16, 2015. Millions of beer drinkers from around the world are expected to attend the 182nd Oktoberfest beer festival, which opens on Sept. 19, 2015. 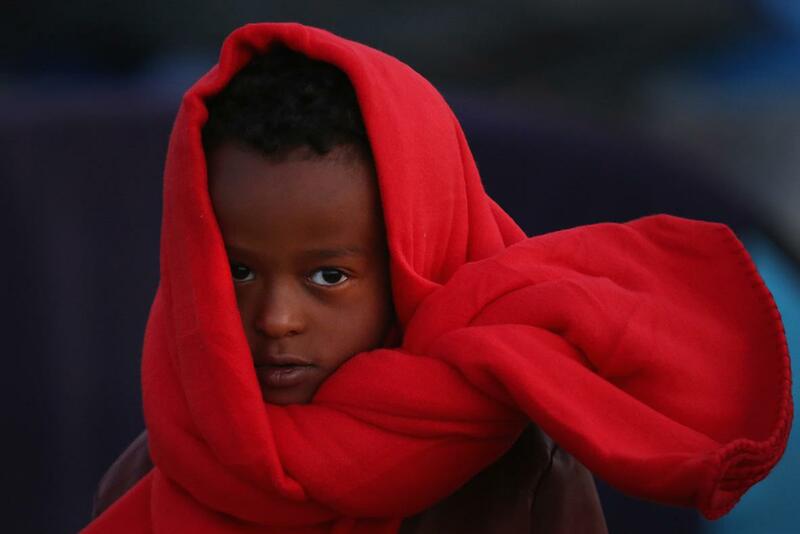 A young boy wraps up to keep warm as migrants wake up to a cold morning at the Hungarian border with Serbia on Sept. 13, 2015, in Roszke, Hungary. A record number of 4,000 people crossed the Hungarian border with Serbia the day prior. 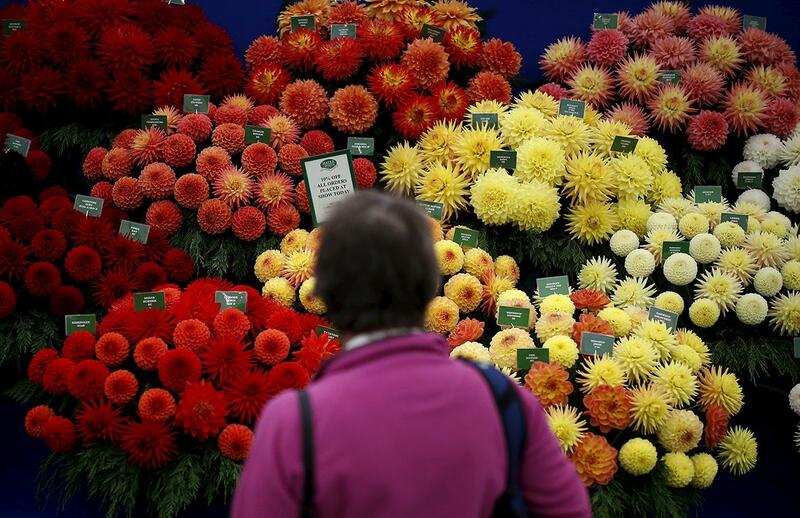 A woman looks at a display of dahlias on the opening day of the Harrogate Autumn Flower Show in Harrogate in northern Great Britain on Sept. 18, 2015. 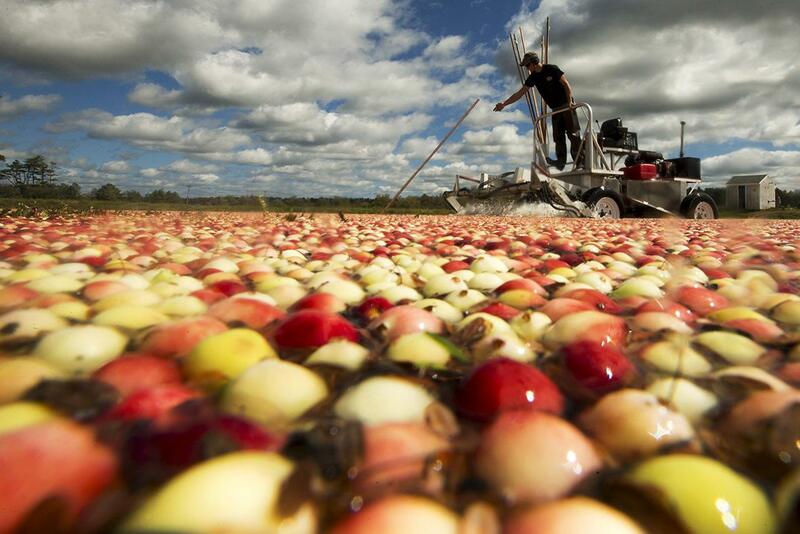 Nick Johnson harvests cranberries in a bog at Gilmore Cranberry Co. in Carver, Massachusetts, on Sept. 14, 2015, the beginning of the cranberry harvesting season. According to the Cape Cod Cranberry Growers’ Association, 200 million pounds of cranberries are grown annually in Massachusetts. 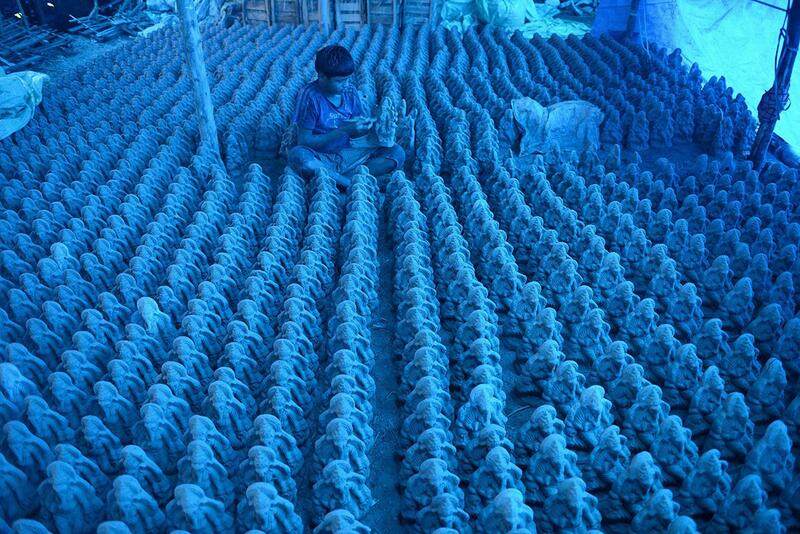 An artist works on figures of Hindu God Lord Ganesh made with mud, jute, and bamboo at a blue tarp–covered workshop on the outskirts of Hyderabad, India, on Sept. 15, 2015. The ecofriendly statues will reduce pollution during the Ganesh immersion. 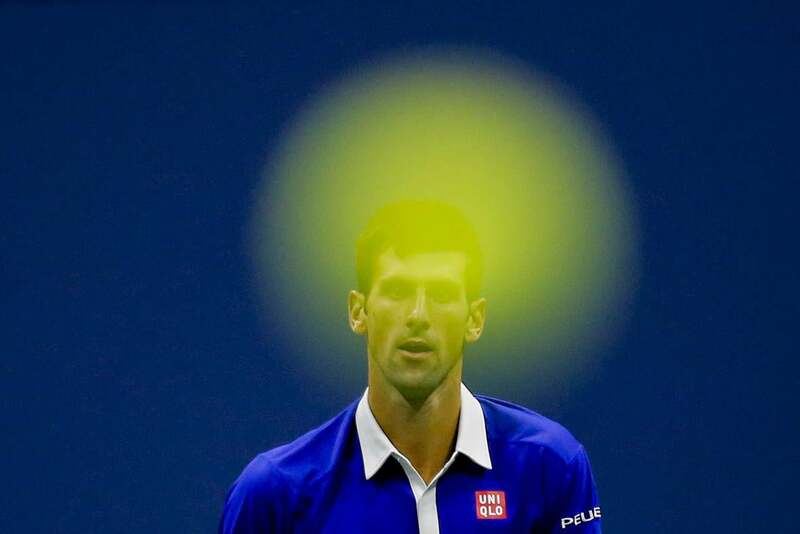 Novak Djokovic of Serbia follows the flight of his ball as he returns to Roger Federer of Switzerland during their men’s singles final match at the U.S. Open Championships tennis tournament in New York, on Sept. 13, 2015. 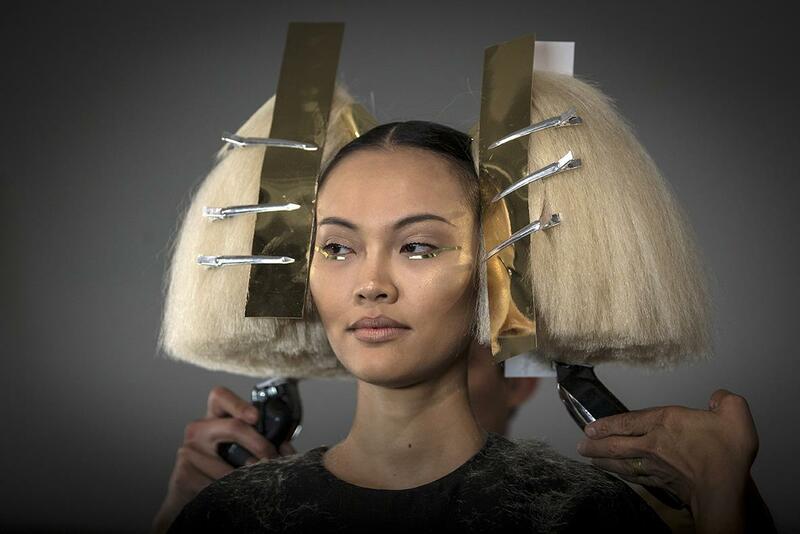 A model has her hair done before the Blonds Spring/Summer 2016 collection during New York Fashion Week in New York on Sept. 16, 2015. 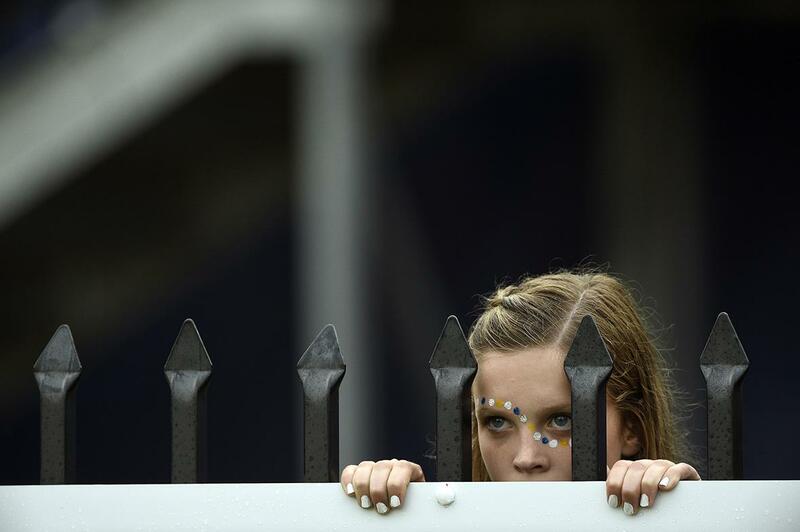 A young fan of the Georgia Southern Eagles watches as her team takes on the Western Michigan Broncos during the fourth quarter on Sept. 12, 2015, at Paulson Stadium in Statesboro, Georgia. A white lion is seen at the “Parque Loro” zoo in Puebla, Mexico, on Sept. 12, 2015. 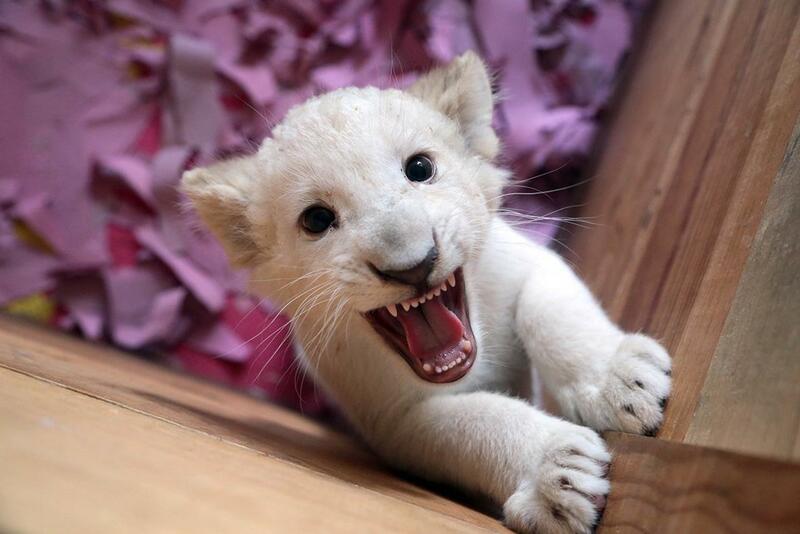 This is one of three white lions born in captivity, two of which have already been donated or delivered under exchange agreements with other zoos in Mexico. 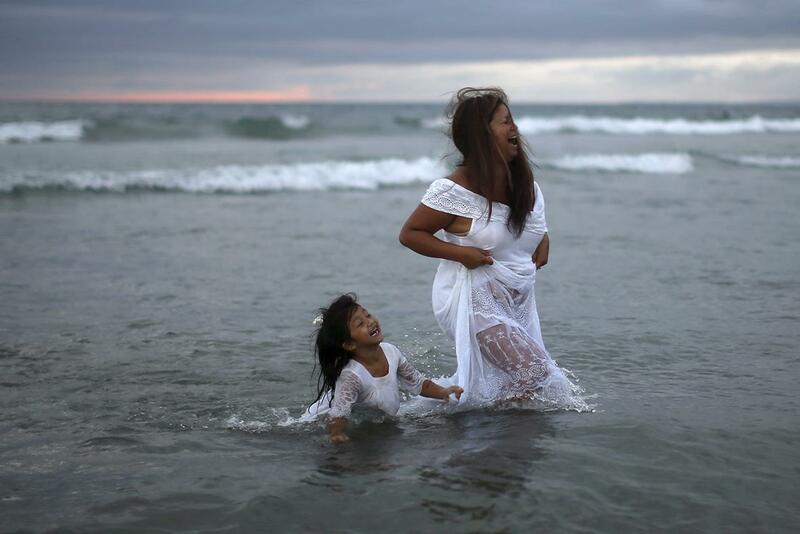 Chariya Leeds, 44, and her daughter Samantha, 5, take part in the Nashuva Spiritual Community Jewish New Year celebration on Venice Beach in Los Angeles on Sept. 14, 2015. As Jews take part in the Tashlich prayer, a Rosh Hashana ritual, breadcrumbs are tossed into the waters to symbolically cast away sins.